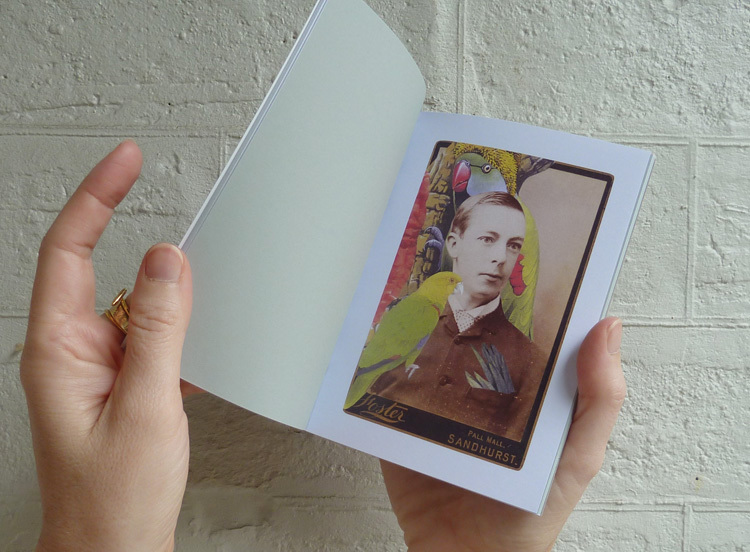 A 15cm X 10.5cm, 31 page full-colour zine with a colour cover and cardboard back and a black spine. 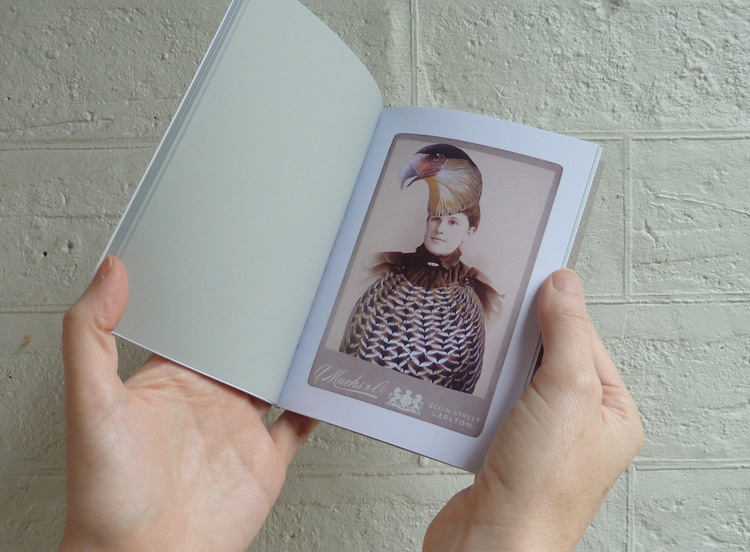 One of nine new zines made especially for the National Gallery of Victoria's Melbourne Art Book Fair in the Great Hall, NGV International, May 2016. 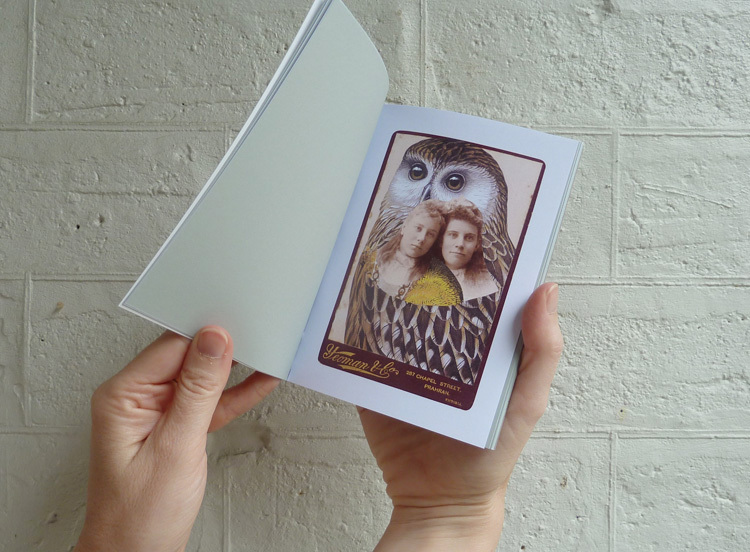 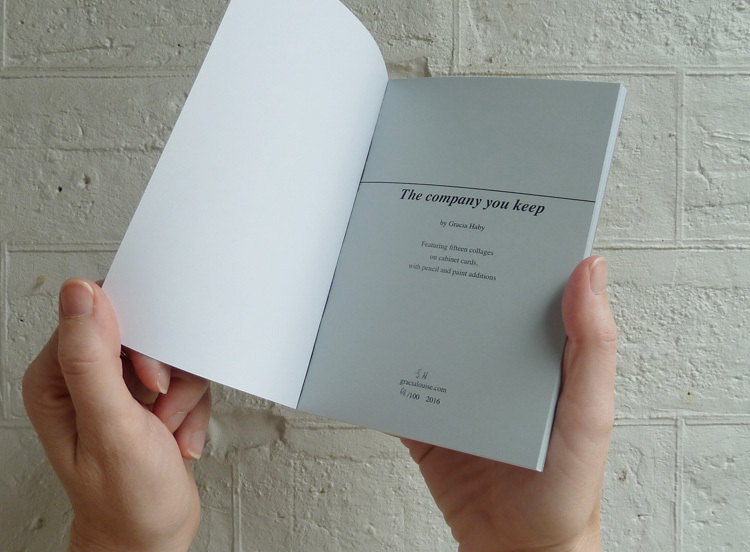 The Company You Keep is a Salvaged Relatives zine from the artists' book of the same name, featuring colour reproductions of all 15 collages on cabinet cards, with the titles printed on grey paper.